Koch homes has been a luxury homebuilder in the Washington D.C. area since 1951. Since then, we’ve played an integral part in the development of some of the finest communities in Maryland. So, needless to say, we know a little something about the area. Now that it’s winter time, we figured we’d clue you in about the best spots to grab a hot cup of Joe in our communities. Because, no offense to iced coffee drinkers, what’s better than a steaming cup of coffee to warm you up when there’s a chill in the air? 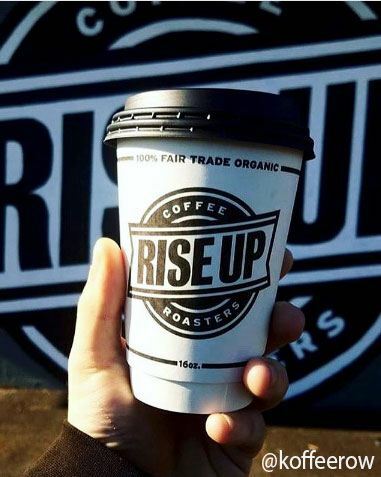 Rise Up Coffee is a small-batch coffee shop that has been impressing locals since 2005. All of their coffees are organic, fair trade certified and absolutely delicious! We’d recommend going in and enjoying the quaint atmosphere and chocolate croissants. But if the coffee is all you want, they even offer a coffee club that will mail you your favorite products every month. Now that’s convenience! The White Rabbit is a quirky and homey coffee shop with tasty roasts and a Wonderland theme. Perfect if you’re a train rider and want to grab a latte before your commute. It’s a small joint with no formal seating, so it’s probably not for the person who wants to work on their screenplay all day at the coffee shop. But for the rest of us busy people, it’s fantastic. It’s also a great place for snacks and bento boxes if you’re catching the train and want something to munch on too. Bada Bean, bada boom! This clean, pleasant coffee shop has got more than just a catchy slogan going for it. It has a wide variety of coffees, teas, bagels and smoothies that should satisfy just about anyone who walks in the door. If you’re a health nut looking for something different, try one of their acai bowls. They’ll have you coming back regularly! The Big Bean is known for its great coffee, fun barista foam art and extremely friendly staff. It’s kid-friendly too! The Mexican hot chocolate is sure to be a hit for the whole family. Irina’s Crepes Cafe technically counts as a coffee shop, in that they indeed serve coffee. It’s good too! But the real showstopper here are the crepes. They have a lot of different offerings, and we’ve yet to find something that’s not absolutely yummy! Go for the goat cheese crepe if you’re feeling a bit adventurous, you won’t regret it. Bean Rush Cafe is a family-owned shop that features many signature lattes that are sure to perk you up. Get the Honey Bee Latte or Girl Scout Cookie if you’ve got a sweet tooth. You’ll be smiling from ear to ear after a sip! Six amazing communities and six terrific options for those wanting a nice cup of coffee. If you’re considering moving or building a home in any of these areas, don’t hesitate to reach out to us here at Koch Homes to discuss some of our luxurious floor plans.